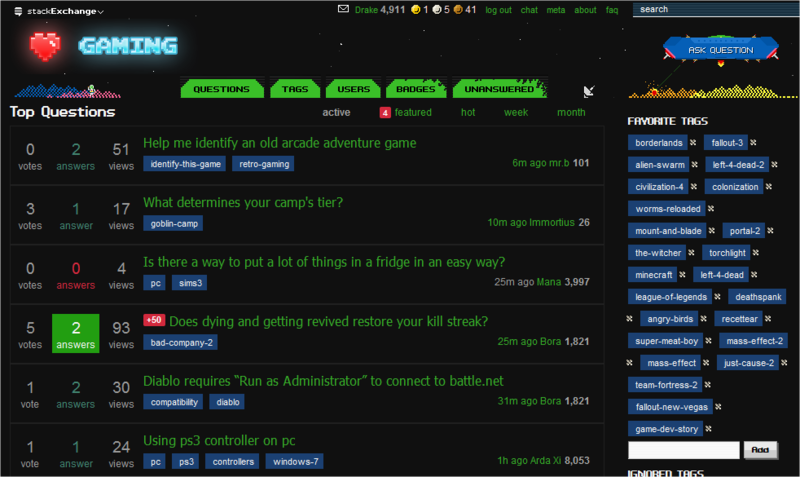 This as simple user script that changes the overall style of Gaming SE sub-site to a darker version. I made it for myself as I used to do with sites that I tend to visit more (Google, GMail, Youtube, etc.). Maybe there are other users that like a darker version so I decided to share it. This script is still in beta and I have tested it only with Firefox + Greasemonkey (Windows XP). Code is not optimized, it will be in finale release. Please, report any bugs or suggestions, I will be happy to fix them and improve the result.